Have you seen the ‘Split’ and ‘Unbreakable’ movies? If not, then go and watch them before you go to watch ‘Glass’. You definitely need to know the plots from these other two, or this one won’t really make much sense.. The story starts with four cheerleaders being taken and held in a warehouse. Their captor is none other than Kevin Wendell Crumb (James McAvoy), a very scary guy with 24 different personalities. A local security guard, David Dunne (Bruce Willis) has the ability to see the bad in people and when he touches past Kevin in the street, he knows exactly where the girls are being kept. He goes and frees them but unfortunately for him, Kevin returns as his murderous personality, The Beast. A massive punch up ensues. The girls manage to escape and the fight spills into the street. All at once, suddenly there is a bright light and the pair are surrounded and taken by unknown forces. They are taken to a secure facility, where they are locked up. Now there are three ‘dangerous’ people in the facility with ‘abilities’. Why have they been captured and who exactly are the dark forces that are at work? 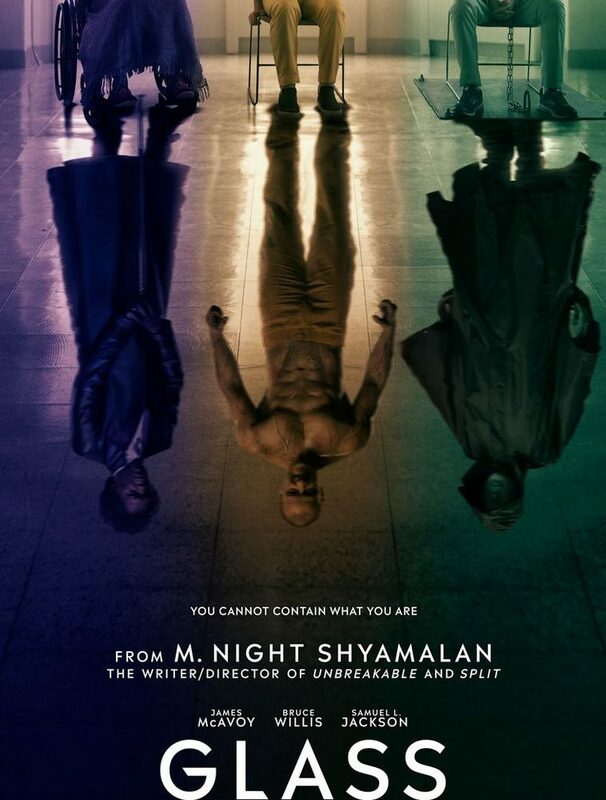 This is the third and final installment in M. Night Shyamalan’s trilogy of films; ‘Unbreakable’ (2000), ‘Split’ (2016) and now, the grand finale, ‘Glass’. The movie brings together the main characters from each film, plus a few secondary characters too; David’s son, Joseph, Casey Cooke from Split and Elijah’s mum from Unbreakable. To get the full enjoyment and understanding of this movie, you really need to have seen the other two movies in the trilogy. It would probably be a bit like watching Season 2 of a TV series before you watch the first Season of it.. you wouldn’t know anything about the characters or plot line. If you have seen the previous two movies then you are in for a real treat when watching ‘Glass’. A rollercoaster of a film, right from the get go, you’re never really sure who you should be rooting for. Each of the three main characters has their own agenda and backstory. There are frequent lightbulb moments for the movie viewer, which will keep your interest peaked for the duration of the piece. Running at a little over two hours, it’s just the right length to tie up all the loose ends, plus maybe open a few more. 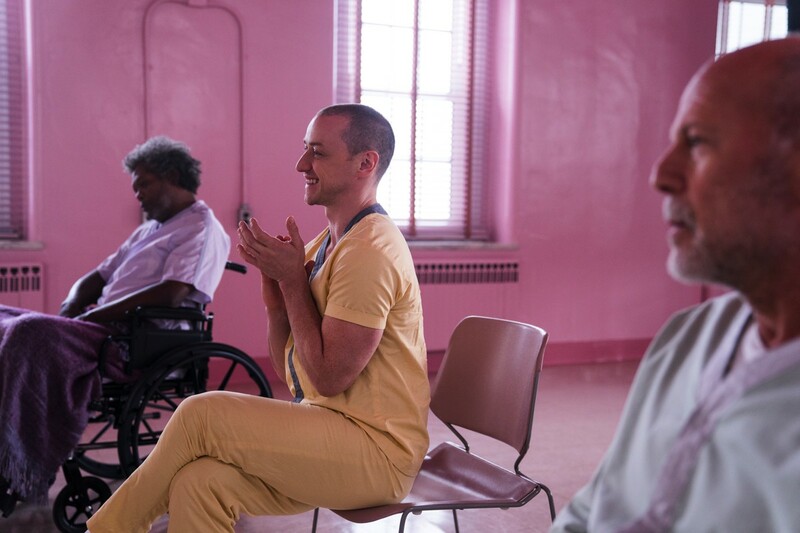 For a bit of escapism, give ‘Glass’ a watch and decide for yourself if the ending is all you hoped it would be.